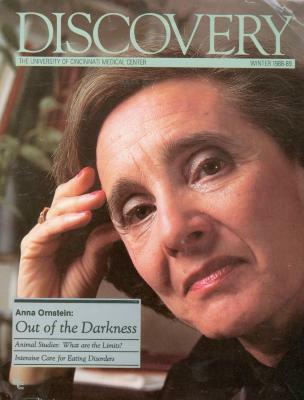 Article published in Discovery: The University of Cincinnati Medical Center titled "Anna Ornstein: Out of the Darkness." Published in the Winter 1988-89 edition. The full article can be found in the Center for Holocaust and Humanity Education's archive.